For over 100 years the Trust has aimed to provide the means to improve agricultural development. For the first half of the twentieth century this consisted of maintaining an estate of over 30 farms and smallholdings to provide a step on the farming ladder. For the second half of the twentieth century the Trust consolidated its estate into two farms to demonstrate new farming methods. In the early part of the twenty-first century the Trustees decided that they could best serve their charitable obligations by letting the farms to tenants, and use the rental income to provide grants, mainly for research and education. The Trust continues to adapt to serve the development needs of agriculture. Rents from properties, together with investment dividends raise around £200,000 a year, some of which is reinvested, some is used to maintain and improve the farms, some for administration, leaving around £120,000 to £150,000 a year for charitable purposes. 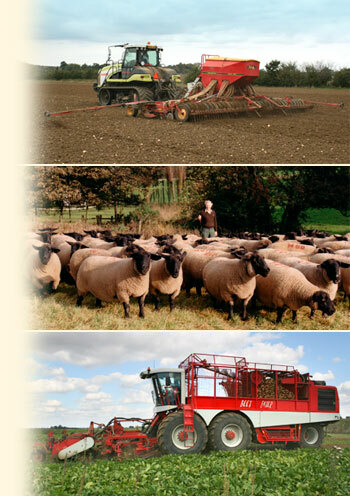 The Trust’s property holdings consist of: the site of Otley College, including Charity Farmhouse, extending to 24.5 hectares; two blocks of arable farmland, Stanaway Farm and Hope Farm totalling 289 ha at Otley, Ashbocking and Sproughton, let on agricultural leases; allotments of 1.23 ha in Sproughton village; Stanaway Farmhouse, let on a residential lease; three former farm buildings, let on commercial leases; and Hope Farmhouse let with 2.1 ha grassland on a combined residential and commercial lease. Grants are available six general categories: education and training, research and development, promotion and publicity, environment and wildlife, production and marketing, capital works and equipment. These categories are not exclusive, and may change over time. Trustees meet four times a year to consider applications for grants and transact other Trust business. The deadlines for completed applications are 30 March, 15 May, 30 September and 20 December. All communication with the Trust should be conducted through the Administrator.